This week we witnessed the fall of another governmental leader — General Petraeus, who sadly chose to mar his image as an American hero. 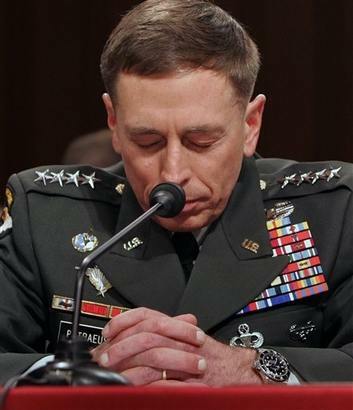 Ironically, as serious as the choice that Petraeus made to commit adultery and its consequences are, it begs the question as to what was really going on in the form of a cover-up to not release the information publicly until post-election. Of course, Petraeus’ mistress had access to his emails, which is a key question in the sharing of classified information that will now be investigated. To add insult to injury, the apparent cover-up of what really happened in Benghazi, and the investigation that was delayed post-election is a sad commentary for America. Anyone taking an honest look at this situation will realize that all the events surrounding Petraeus was a definitive cover-up during the Presidential Election. Post-election, it seems fairly clear to me that the individuals who were previously criticized for attempting to “divide us” and “focus on crime” in the Red Stick’s recent Mayoral Election were accurate. Post-election, the head of the Baton Rouge Area Chamber president, Adam Knapp, in today’s newspaper explains the ‘challenge’ of selling EBRP to companies considering us as a destination to do business due to the CRIME RATE! What? Huh? Where was Adam Knapp during the Mayoral Election with these facts? Good job to Kip Holden and his political operatives for getting the likes of Knapp, McCollister, FuturePac, the Baton Rouge Police Union, Baton Rouge Police Chief Dewayne White, Pat Felder, Walter Monsour, John Noland, Rev. Raymond Jetson, et al. to jump on Holden’s bandwagon endorsing him, crying racism, and refusing to address the crime increase in our parish during the election. I am so disappointed in these community leaders for misleading us. The inability of Kip Holden and his entourage to properly address the fact that crime is up in EBRP was a blatant cover-up to ensure his re-election and ignore the facts. Post-election, the topic of increased crime is now up for discussion? Let’s be clear on this article where Knapp is quoted about firms questioning the crime rate, seeing billboards and discussions about the crime rate. The election was held November 6th, and the billboards went up less than 30 days ago. Anyone who believes that we have had a surge of companies visiting in the past 30 days might be interested in some land I have for sale. Ha! As a researcher, I work on facts, and am not a conspiracy theorist. At the same time, some would say this was a conspiracy properly planned by Kip Holden and his political operatives to ignore the facts, or should I say hide the facts from the public until post-election. Unfortunately, all of the ‘so-called’ conspiracy theorists have been proven accurate in that nationally, and locally, information that should have been properly discussed in an honest and forthright manner was withheld from the voters until after the election. To all those who endorsed Holden, you made your bed, now you will have to sleep in it — sharing Holden’s bed seems to be a commonality in EBRP!